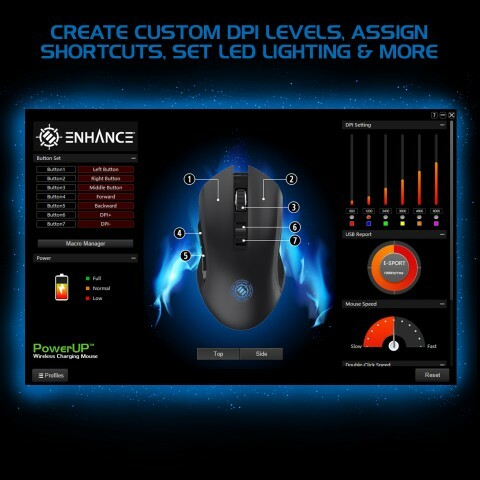 Introducing the ENHANCE PowerUP series, a product line designed to keep you running at a full charge while providing a premium gaming surface for your mouse. 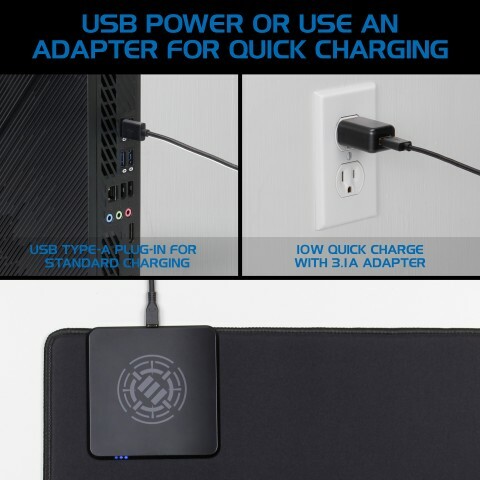 The PowerUP XXL mouse pad is a large fabric mouse pad with a built in wireless charger to keep your Android / Apple smartphone or Qi wireless compatible device fully charged during a gaming session. 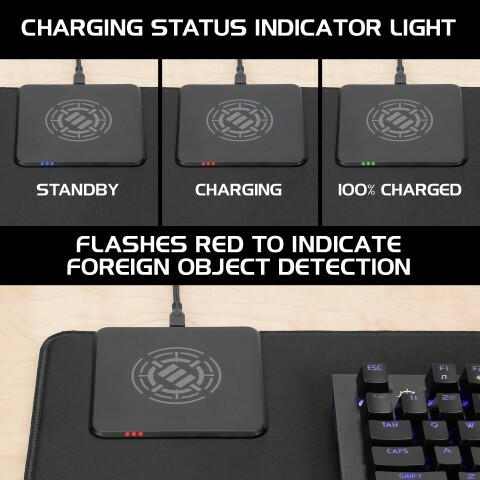 The built in wireless charging pad features a 5V 2A output to quickly charge any Qi wireless devices, including gaming mice like our PowerUP Pro Gaming Mouse that is included in this bundle. 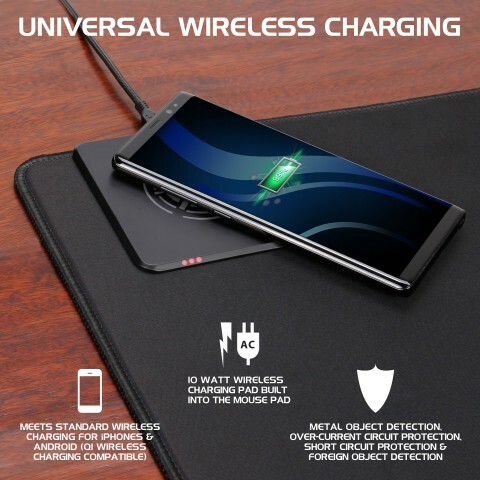 It also features protections that ensures your wireless charging pad never damages your device or itself. 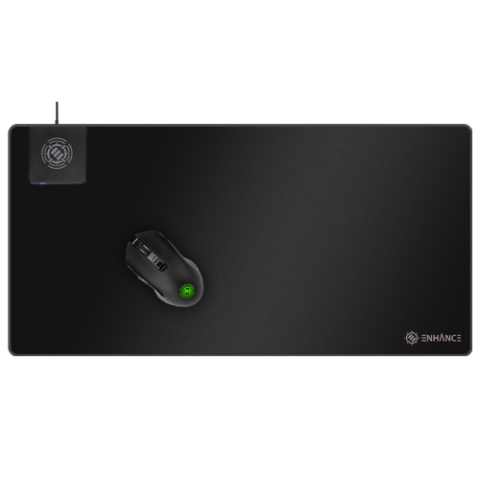 It includes Under and Over Current protection, Temperature protection, and Foreign Object Detection. 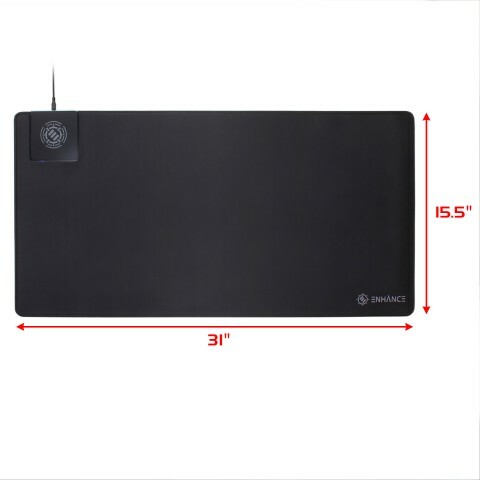 Made from premium neoprene fabric, the PowerUP mouse pad provides a smooth tracking surface and reduces friction during intense gaming sessions or while working at the office. 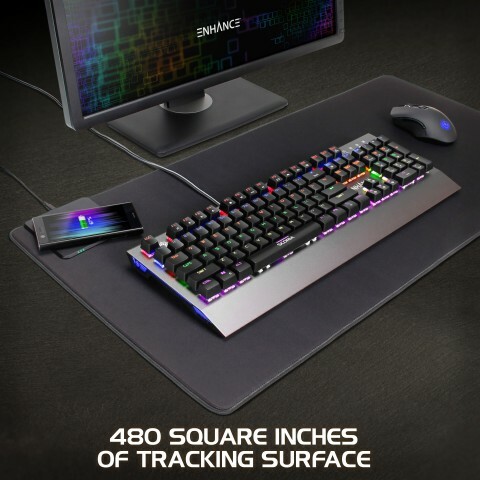 The back is entirely covered with a non-slip textured rubber material, which eliminates any unwanted movement during competitive play that can potentially cause your shot to go off target. 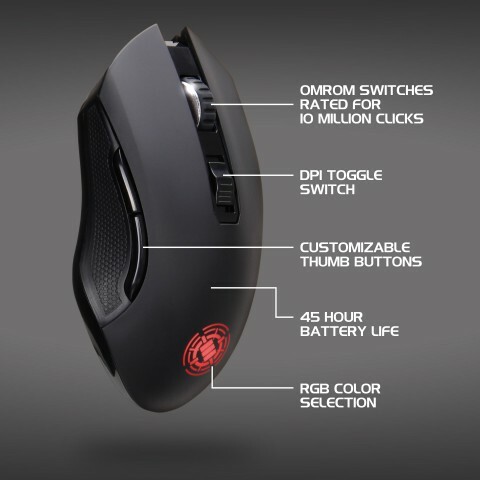 Mouse - 4.88 x 2.64 x 1.54"
Pads -31.5 x 15.75 x 0.4"